Isolation is a problem around here but, like you, I’ve the animals and God to talk to. 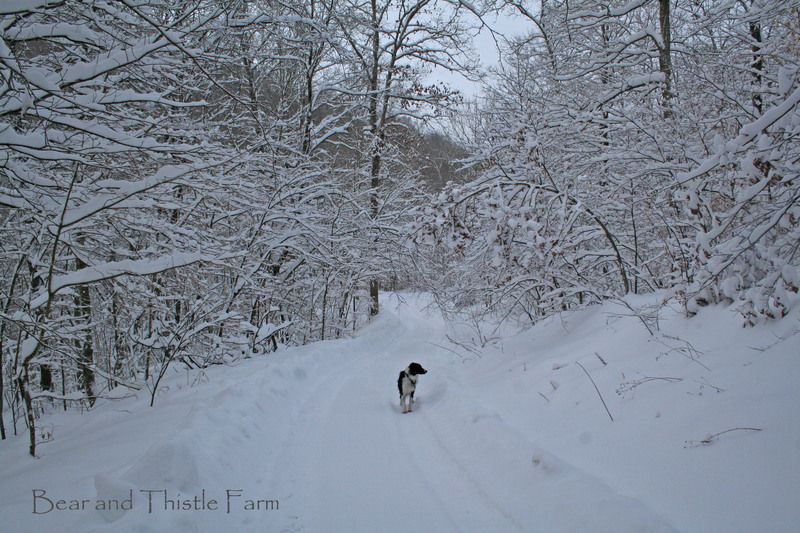 It’s not unusual for me to be snowed in for a week to 10 days at a time; today was the second time off the farm in 2 weeks. I’m able to grow enough hay for my horses, sold the sheep, alpacas, hogs and cattle a while back. Still, it’s a messy, slippery, dangerous job setting out 1100 round bales on a hill side. It sure helps in keeping my prayer life active! Spring is most welcome here, before then, there’s the bd. of supervisors meeting tonight. I’d like to go as it pertains to VERY intrusive zoning for farmers, but if the weather is nasty, will choose the safe of home over the danger of icy roads. Good to hear from you, Sandra! I wondered if you still had all the critters, glad you kept the horses, hope they are doing well. It wouldn’t take much to sideline either one of us, and a lot of four-legged souls depend on the care we give them so prayers are very much a part of my life. Stay safe over there. Well, hate to tell you how low tech I am but just now figuring out comment and response system at WP. Everyone still well here, hopefully there as well. Be safe out there! Glad for the long hand version of an update besides FB. I thought of you tonight, a neighbor has some round bales to get rid of so he brought one down for me to try. A PITA for sure, but the price was right, and it is “horse hay” although for one I am surprised and the low quality for his horses, which have all passed on to the big pasture in the sky. So tearing apart a round bale has been my chore of late. I have learned a thing or two about feeding out round bales by hand, they can be maddening for sure. Best thing I ever did was set them on a pallet, they unroll much easier that way – otherwise that lower edge just binds up and you can’t get anything off. Square bales are much easier in so many ways, but the price is so much better for the rolls. Quality is a whole ‘nuther thing!